The 8.5x24' Gooseneck Enclosed Trailer from The Trailer Showroom is a great choice for use as a car trailer or toy hauler with a vehicle that has gooseneck hitch requirements. We custom build every trailer to your exact preferences and the 8.5x24 gooseneck trailer is no exception. 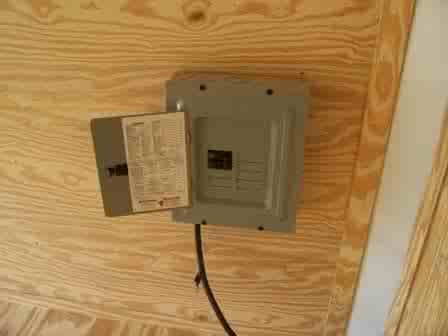 We offer a Standard Equipment package at the base rate and with the equipment listed below. 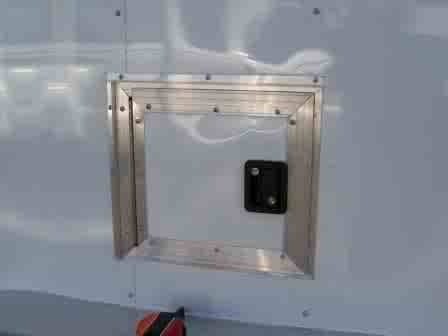 We also offer a variety of options to customize your trailer. You can adjust the structural elements or the interior and exterior details. Simply pick and choose from the options listed here and you'll pay only for those options you choose. 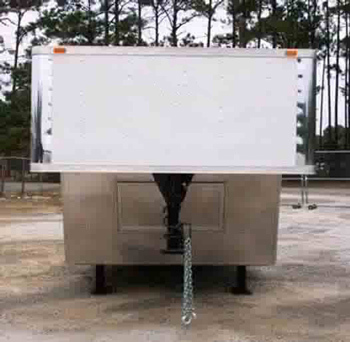 We have a selection of other Gooseneck Trailers here on the site or you can call us directly to inquire about the 8.5x24' Gooseneck Enclosed Trailer: 1-877-45-TRAILER. 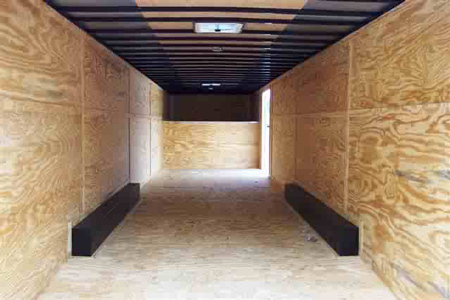 All 8.5 x 24 ft enclosed trailers are manufactured in the order in which customer trailer deposits are received.